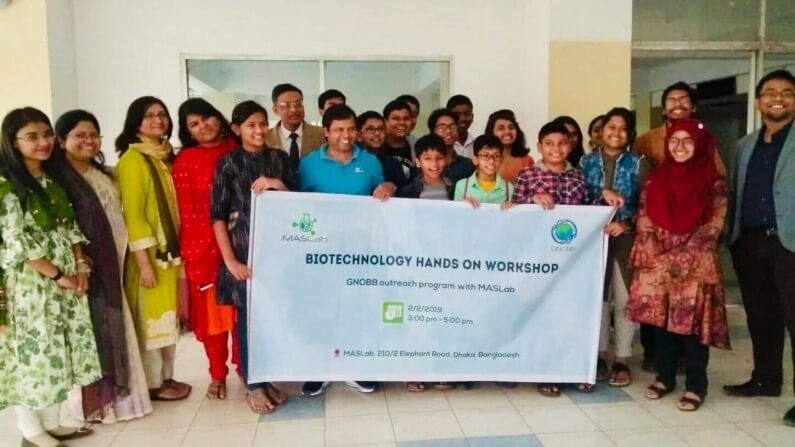 GNOBB is happy to announce the successful completion of the second outreach program of Global network of Bangladeshi Biotechnologists with MASLab. Maqsudul Alam Science Laboratory (MASLab) is a platform for enthusiastic little scientists who are willing to learn science and do experiments practically but can’t able to get the chances. A group of 15 students ranging from class 5 to class 9 attended the workshop. The MASLab volunteers and GNOBB outreach team helped them. The 2 hour workshop was initiated with observation of plant vascular bundles and bacterial cells under microscope followed by hands on DNA extraction using household kitchen items. The outreach team explained the molecular and microscopic world and correlated with our everyday activities to the young minds. GNOBB outreach team led by Dr. Nurul Islam, Professor, Department of Botany, Dhaka University, Dr. Kazi Shakhwat Hossain, Professor, Department of Botany, Jagannath university, Dr. Sabrina Elias, Assistant Professor, Department of Biochemistry, Independent University Bangladesh, Mr. Sharif Shohan, Research Associate, Plant Biotechnology Lab, Biochemistry and Molecular Biology, Dhaka university, Ms. Umme Sabrina Haque, MS student, Biochemistry and Molecular Biology, Dhaka university and Yeamin Farabi Chowdhury, MS student, Biochemistry and Molecular Biology, Dhaka university conducted the workshop. The sessions were concluded by a virtual message from GNOBB president Dr. Zeba Seraj to the kids for reducing the use of plastic. 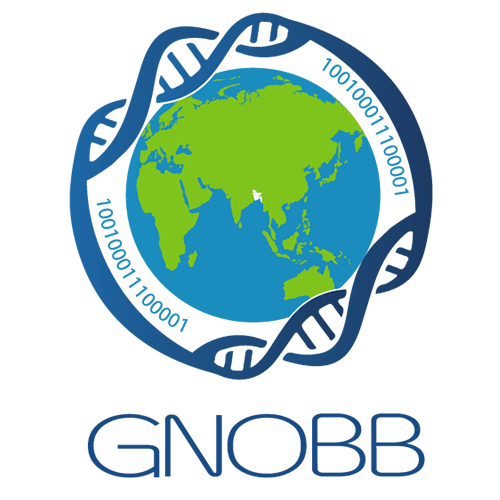 Videos were played revealing the bad effect of plastic in our daily life. Kids were astonished seeing how it is affecting the animals and human and realized why the plastic usage need to be reduced. For more photos of the workshop visit the facebook page of GNOBB and MASLab.